Hockey is a difficult sport for athletic programs to fund for several reasons. First, facilities and ice time are expensive. Second, equipment is relatively more expensive than other sports, and each player comes with his or her own equipment costs. 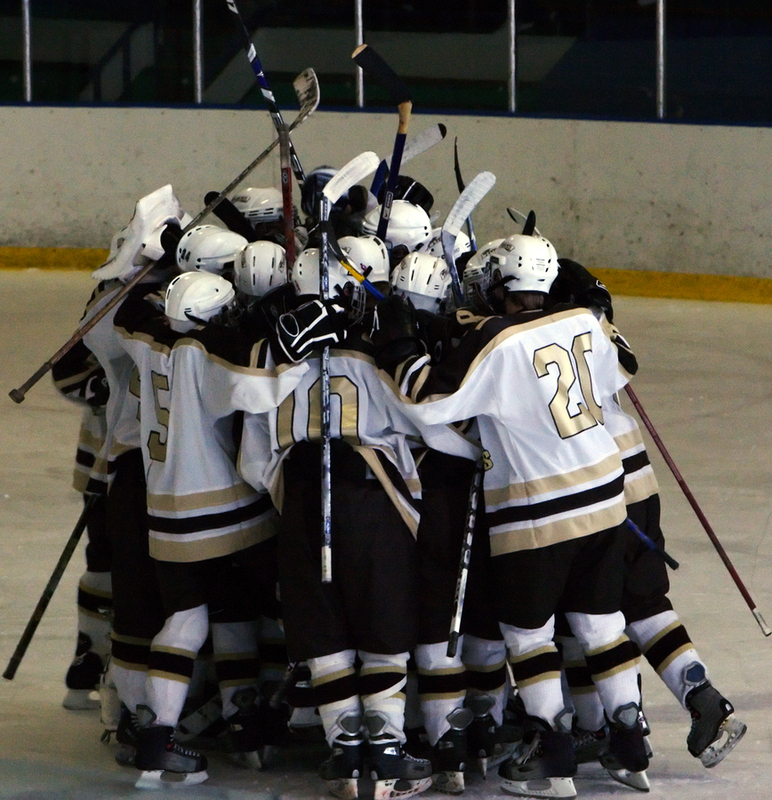 Lastly, unlike sports such as basketball and soccer, hockey isn’t played by as many schools, so teams generally need to travel further throughout the course of a season in order to play a full schedule of games. These additional travel expenses are yet another cost that your athletic department must accommodate. Despite hockey being an expensive sport, your school shouldn’t overlook outfitting your team in the very best gear available. After all, there are numerous ways that your school can save on hockey uniforms and gear without overextending itself financially. Here are a few ways that you can buy the best hockey team uniforms for less. 1. Select a team dealer to satisfy all of your school’s athletic apparel needs. Team apparel dealers allow you to buy all of your sports’ apparel and gear from one provider. This aggregate purchasing method saves you money because the team dealer will offer you discounts on bulk orders, and leading brands will send your school free apparel when you meet certain purchase commitment levels. As a result, you can reallocate some of the money that you are saving for ice hockey uniforms. 2. Ask your Team Dealer for packages. Team dealers that do it right provide recommendations for packaged offerings. In other words, they assemble a selection of items that go together to make up a “kit” of products in a bundle. Oftentimes, this is a cross-selection of multiple brands. But, most importantly, the most capable team dealers provide a Good/Better/Best approach. Share your budget with some dealers, and you will only get the price for what you asked for. The best dealers give you a price for what you asked for (The Better option) as well as something that is a higher quality offering at a slightly higher price (The Best option), and they also provide a value offering (The Good option). 3. Ask for input from your team dealer about which hockey jerseys will look and perform the best and fit your budget. Your players will want hockey jerseys that are made from leading brands such as Bauer, Reebok, CCM, but alternative brands such as Turfer Athletic, Kobe, and SP can offer just as much quality at a lower price. You should always consult with your team dealer about jersey purchases, providing them with a budget estimate so that they can best fulfill your teams’ needs. 4. Promote fundraising efforts such as a school fan site. Traditional team sports fundraising methods (car washes, bake sales) can be lucrative, but they usually come at a cost. Your team dealer should be able to set up a fan shop online that parents and other fans can visit to purchase Spirit Wear. On these types of sites, fans purchase gear with insignia the same as the gear the players wear, generating revenue for your program that would otherwise be nonexistent. These are just a few ways that your school’s hockey program can find the money it needs to sport the best hockey jerseys on the market, like the Turfer Athletic sublimated reversible hockey uniform. Since they are reversible and thus have different primary colors on each side, these uniforms can be used as both home and away jerseys. This reduces your hockey uniform needs by 50% but still satisfies your players’ desire for high-quality jerseys. To purchase Turfer Athletic’s sublimated reversible hockey uniform, check out Squad Locker’s winter sports packages.